Situated at the edge of New Orleans’ French Quarter, WWL-TV’s campus is comprised of a cluster of historic residences, warehouse buildings, and a highly unique, mid-century modern structure facing Rampart Street. Serving the studio broadcast and administrative operations for the TV station, the Rampart Street building had long been outdated. 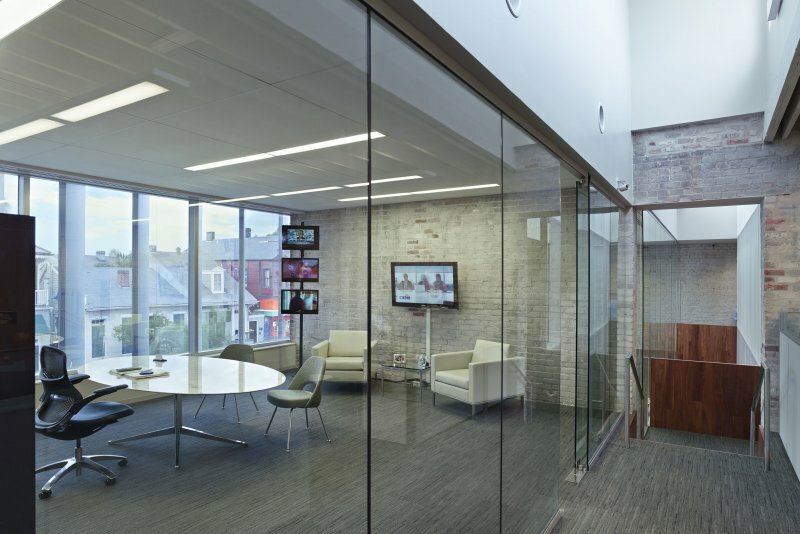 The client initially considered building a new facility and relocating its operations outside of the French Quarter before exploring the possible benefits of a complete renovation of the studio. 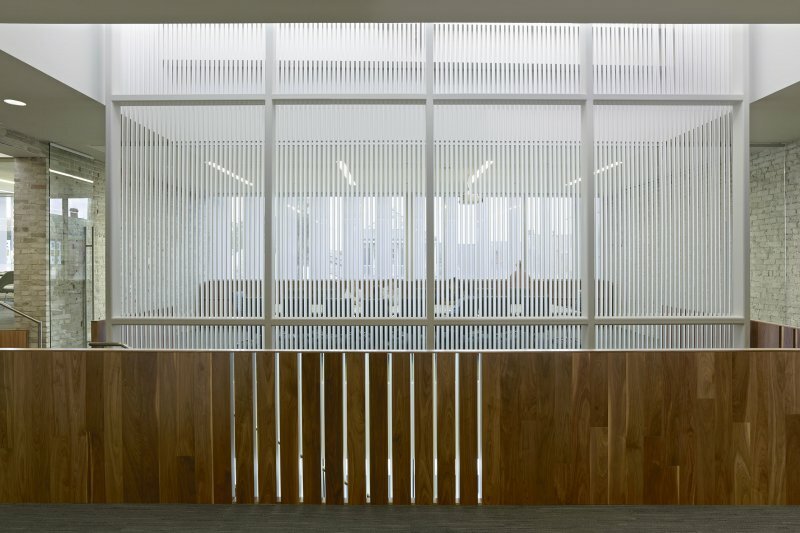 When the latter proved more cost-effective, EskewDumezRipple was hired to design and implement a substantial interior renovation that would not only modernize the building but generate a new appreciation for one of the few modernist structures contained within the historic French Quarter. Where little visibility at the street level existed before, façade modifications—including significant lighting, new storefront and covered entry—enhance the public reception area. 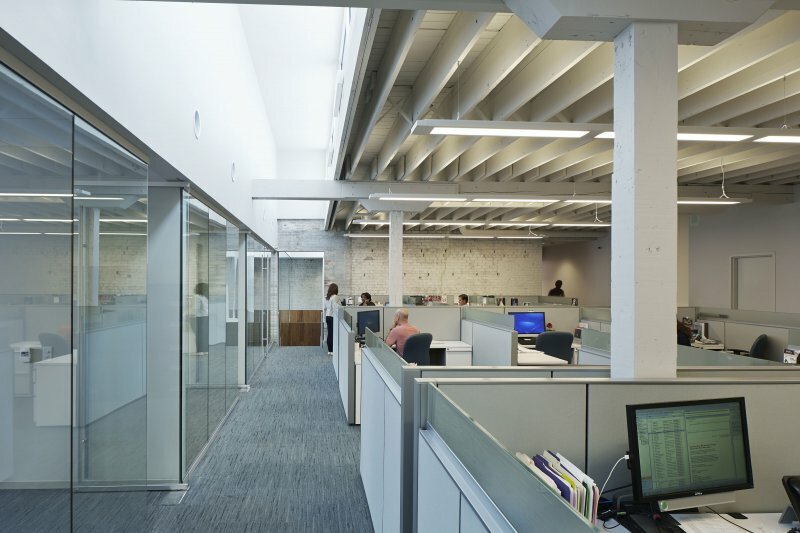 Clerestory windows and a modernized interior fit-out with open workstations provides a more collegial and collaborative work environment. 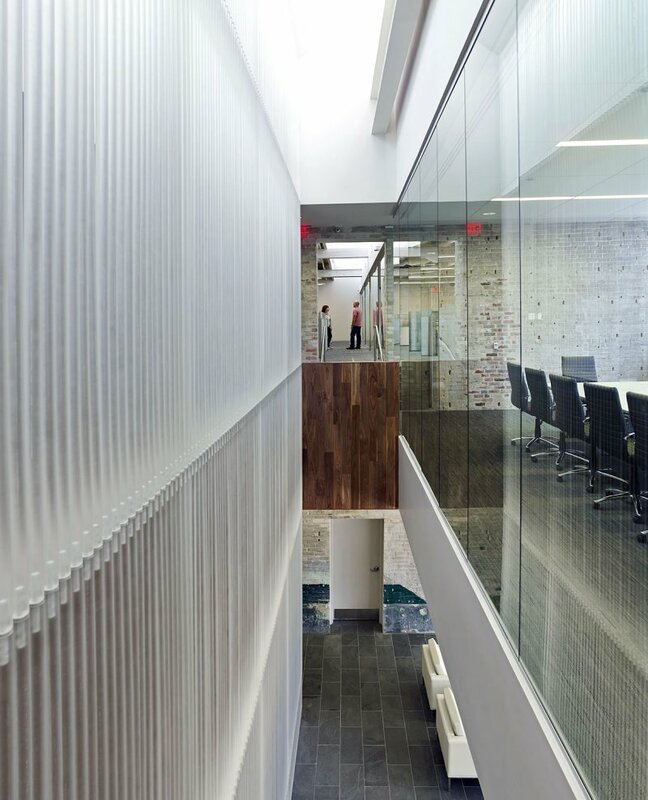 The most distinctive feature of the design is a slotted walnut staircase located behind the lobby reception area and tucked behind a series of translucent rods. 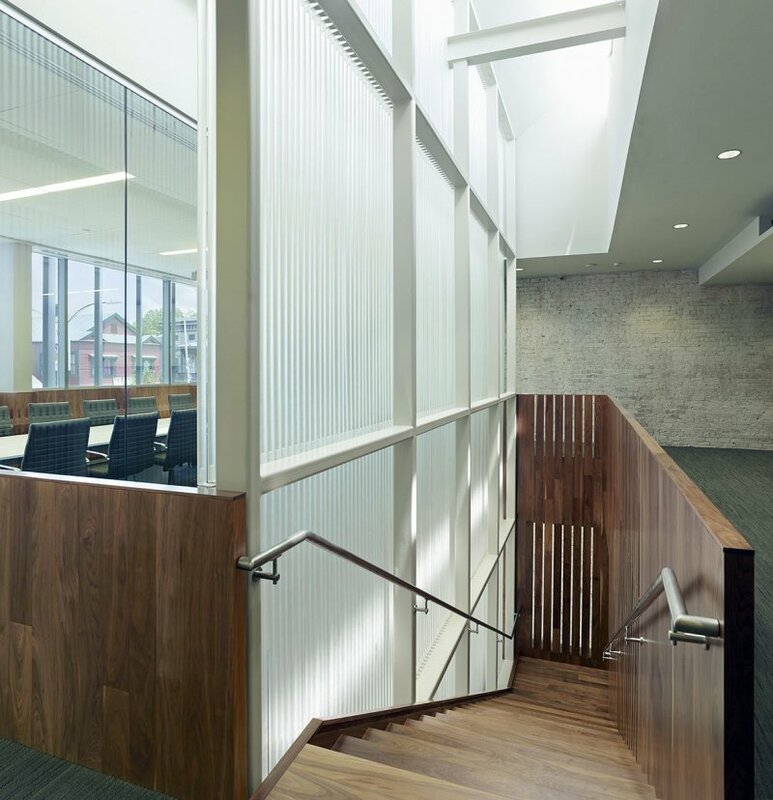 A high bay clerestory drops natural light into the center of the space above the stair. Used as the primary means of circulation between floors, the staircase rods also double as a screen which is used to project the station’s promotional footage visible to all who pass by.